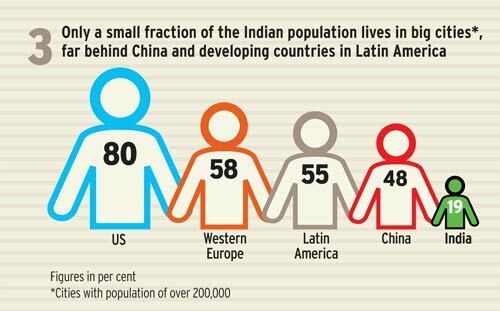 Rapid urbanisation is essential to raise standards of living in the developing world, including India. 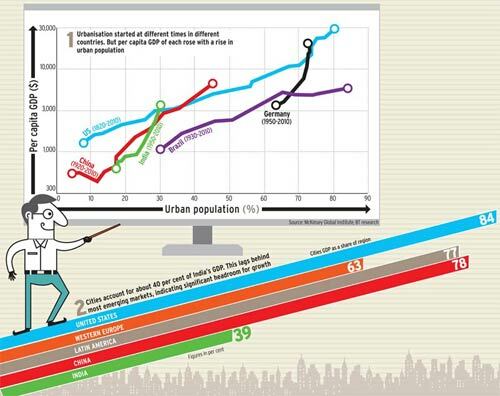 Cities are hubs of economic activity and create wealth. 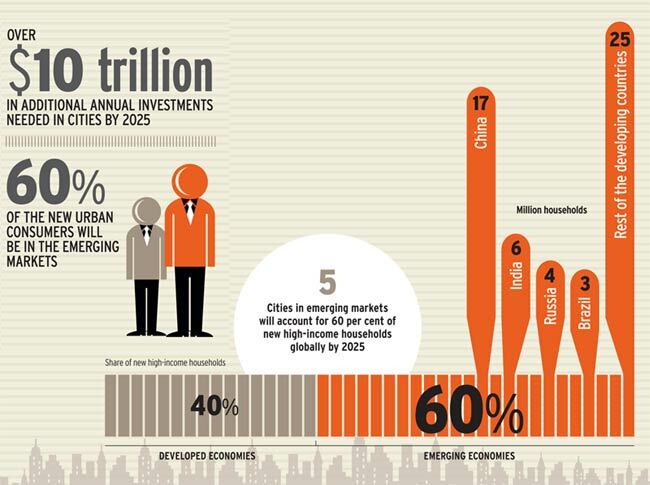 A wave of urbanisation is now underway in emerging nations which will lift some one billion people out of poverty and add $30 trillion to global GDP by 2025, according to a study by McKinsey Global Institute. 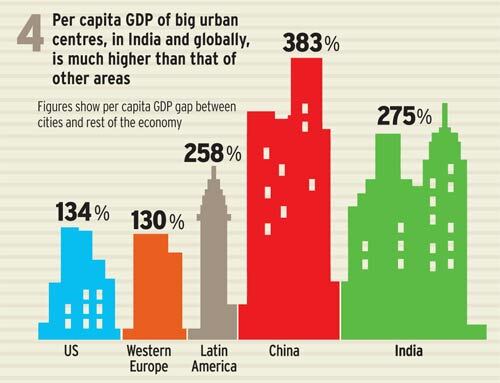 India, too, is urbanising but has a lot of catching up to do with other developing nations, particularly China.